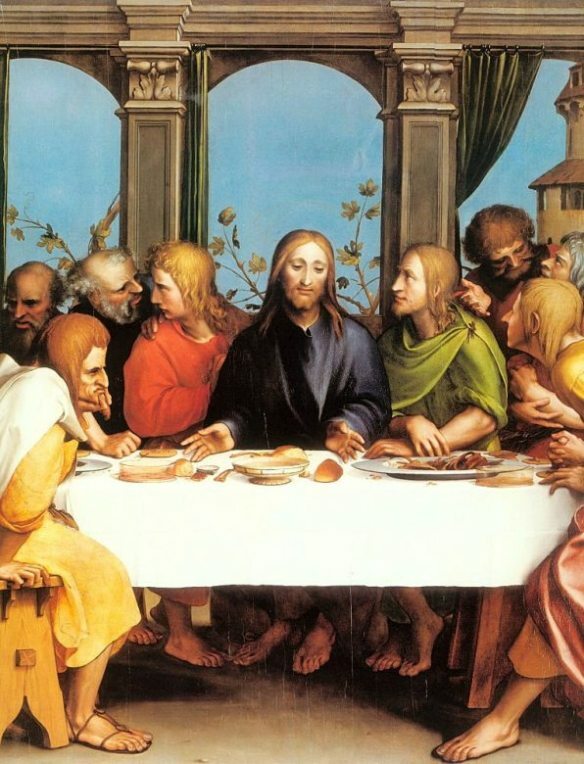 Jesus, guessing that he was about to be arrested by the authorities, had a last meal with his friends. 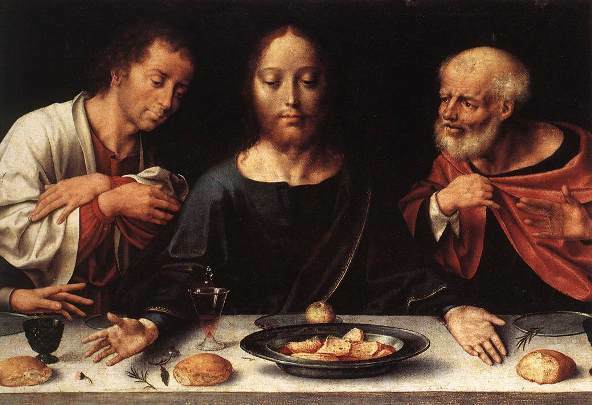 As they finished eating, he predicted his betrayal and death. 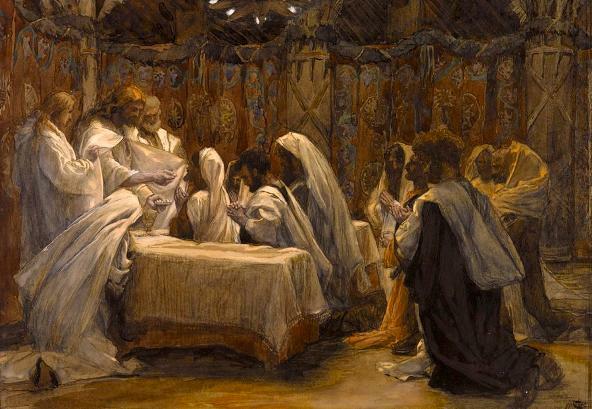 Not only that: he described how Peter and Judas, two of his closest friends, would fail him. 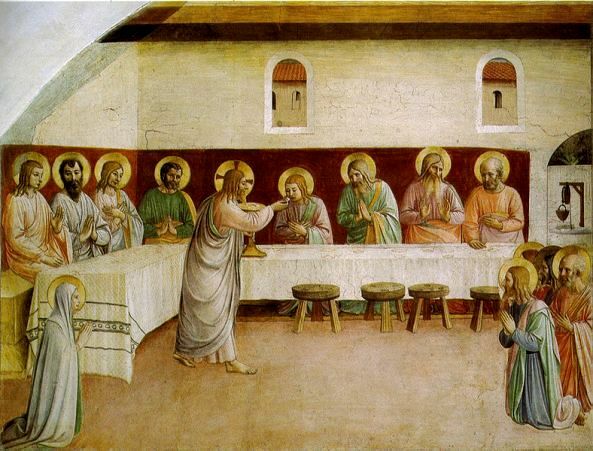 In a prophetic moment he asked the disciples to remember him whenever they celebrated a similar meal. 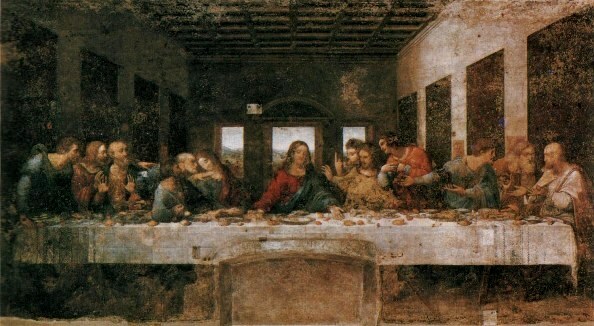 The Last Supper has been shown many, many times in Christian paintings. A section of the Epitaphios of Thessaloniki. 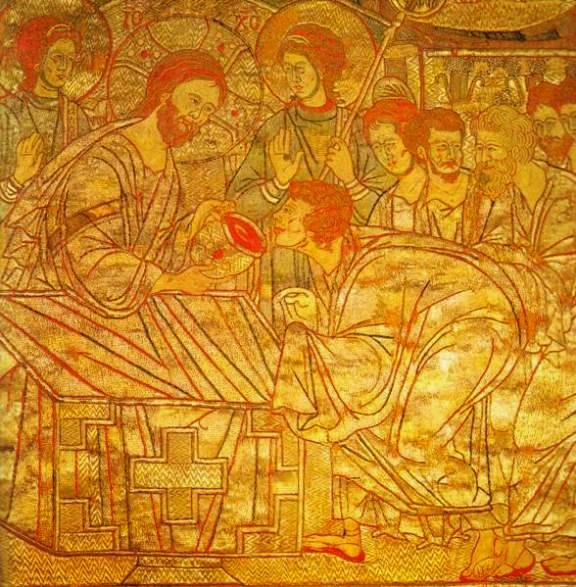 An epitaphios was a woven and embroidered cloth used in solemn liturgical ceremonies. 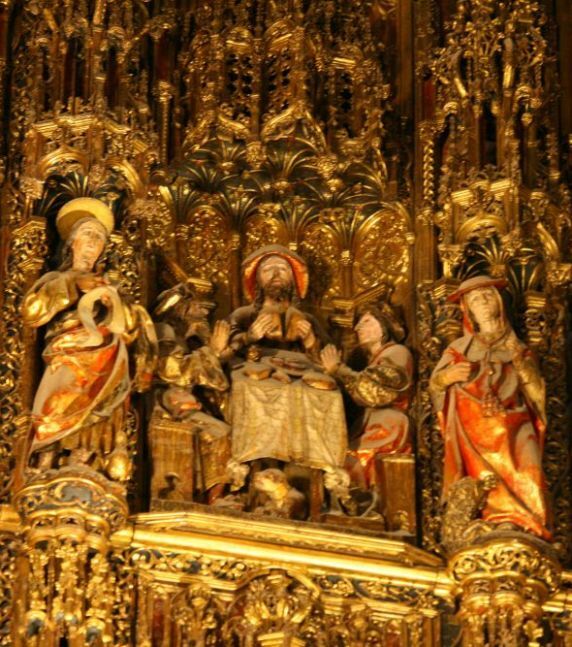 Woven from gold and silver threads, it was enormously heavy, so it was laid on the heads and shoulders of two or three priests who then walked towards the altar carrying their luxurious burden. 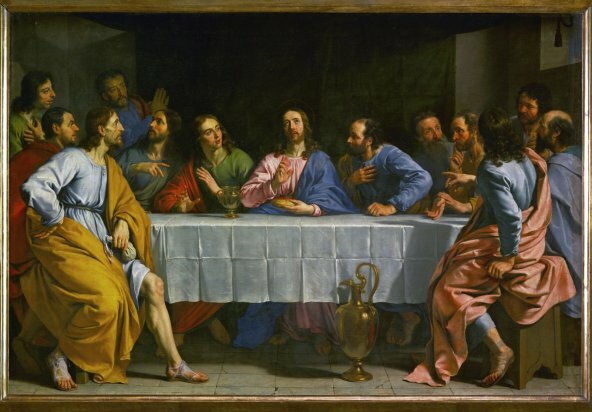 This one, very rare, shows the Last Supper: Christ offers wine to his apostles in the section shown here. 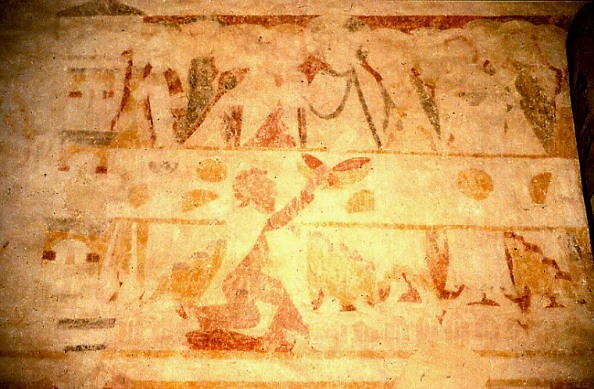 In another section he offers them the bread.